The Rogue River isn’t the only one that needs protection in our region. There was a time when Oregon and Northern California rivers produced some of the highest populations of salmon in the world. Native tribes throughout the Pacific Northwest relied on them as a staple in their diet. Numerous cultural traditions were anchored by the abundance of the salmon harvest each year. Settlers appreciated the proliferation and at the turn of the century, a new generation of water protectors supported their livelihoods fishing and recreating in the clean flowing waters of the rivers of the Pacific Northwest. Eventually, dams were built to harness the power of the mighty rivers throughout Southern Oregon and Northern California. Decades ago a dam indicated signs of progress. Today we know better. Native tribes, commercial fisherman, and conservationists agree that the long-term consequences of dams usually outweigh the benefits. Over the past 30 years, over 1200 dams have been removed from rivers throughout the United States. Right here at home, 10 dams have been removed or modified for fish passage along the Rogue River since 2008 and declining salmon populations are growing. Thanks to the steady progress being made on the Rogue, the nearby Klamath will be benefitting from similar improvements soon. Rising temperatures and slow-moving water in the Klamath River has resulted in unsafe water conditions from Copco Lake to the Pacific Ocean. In addition to creating conditions where fish diseases thrive, the dams along the Klamath have made the water unsafe for recreation for years. The Lower Klamath Project is currently being reviewed by the Federal Energy Regulatory Commission and an independent board of consultants. 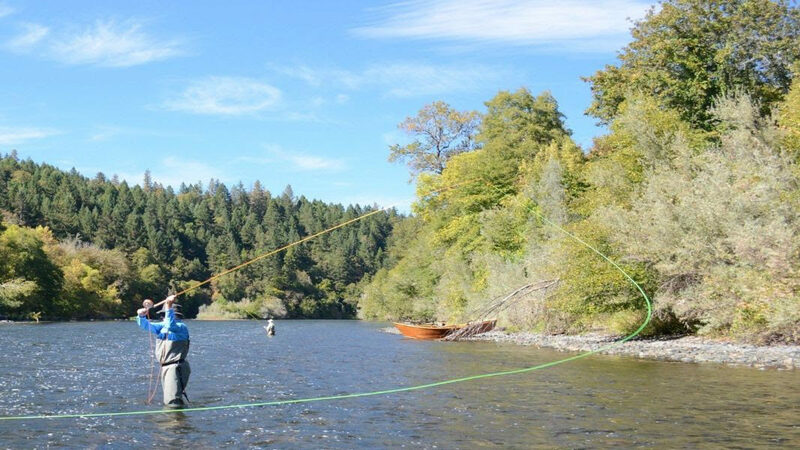 If all goes according to plan, preparations will begin in 2020 and four of six dams will be removed from the Klamath River in 2021. This is fantastic news for all of us who love to be on the river. At Morrisons, we couldn’t be more grateful for the Wild & Scenic designation bestowed upon our very own Rogue River over 50 years ago. One of just 12 such rivers in the U.S., people travel from all over the world to experience the majesty of this amazing waterway. We’re honored to help make that happen.